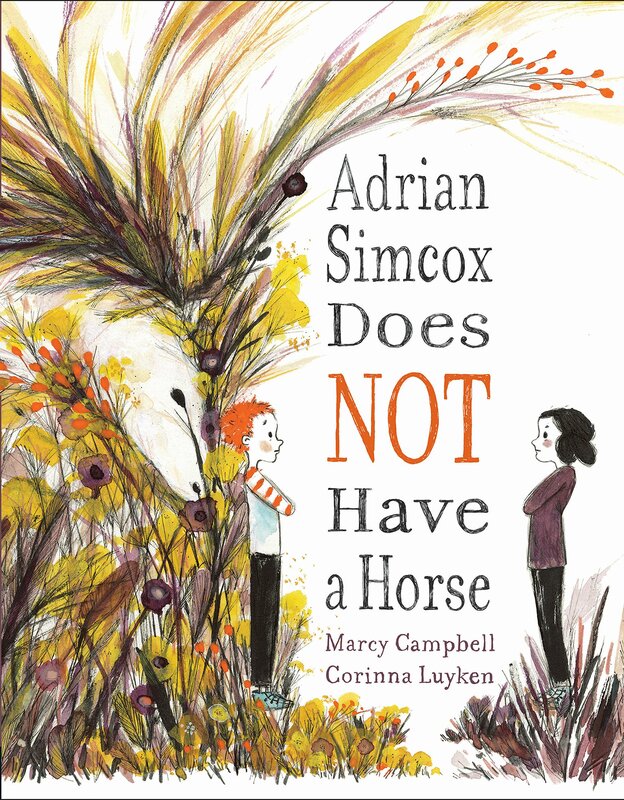 Summary: Chloe is annoyed that her classmate Adrian Simcox keeps telling everyone that he has a horse. She has some evidence that this would be impossible: he lives in a small house with his grandpa, his yard is tiny, and he gets free lunch. One day she calls him on it, yelling on the playground, “He’s lying! Adrian Simcox does NOT have a horse!” She can’t help noticing that Adrian looks sad. That night, when Chloe tells her mom about Adrian and his horse, her mother responds by suggesting they take their dog for a walk. Instead of their usual route, Mom takes them down a street where “the houses looked like they might fall down, and even though it wasn’t trash day, it looked like it was.” Chloe recognizes Adrian outside in front of his very small house. While her mom talks to Adrian’s grandfather, the two kids hang out. 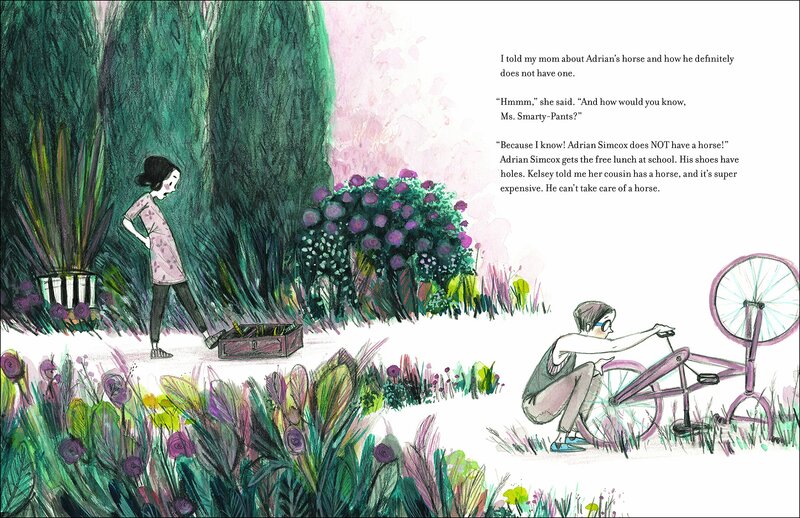 What Chloe wants to say to Adrian is, “You do not have a horse”, but she sees that sad look again, and instead asks, “Is your horse at a farm?” That brings a smile, and Chloe realizes that Adrian has the best imagination of any kid at school. 40 pages; ages 4-8. Pros: A good lesson on kindness, empathy, and looking beyond appearances. Cons: The last page felt a little bit flat.